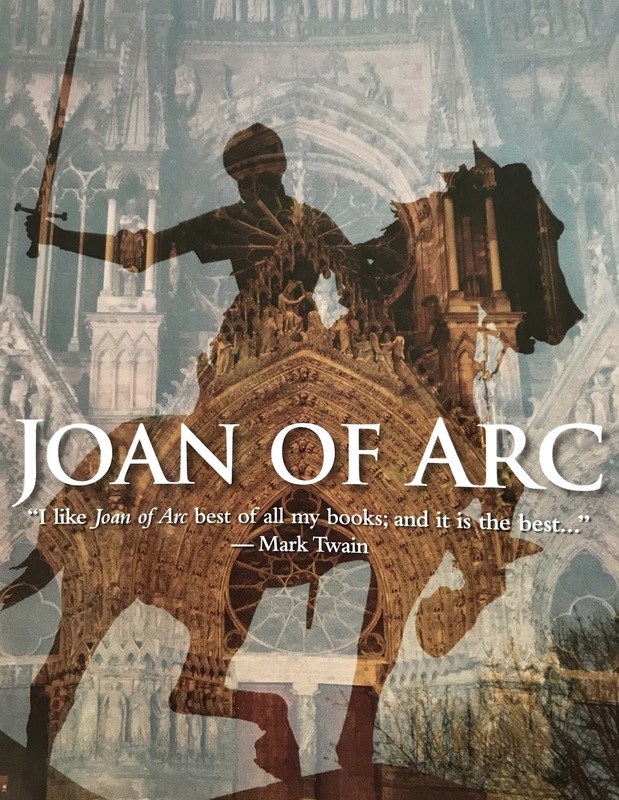 Mark Twain's words about this work say it all: "I like Joan of Arc best of all my books; and it is the best; I know it perfectly well. And besides, it furnished me seven times the pleasure afforded me by any of the others; twelve years of preparation and two years of writing. The others needed no preparation and got none." I agree with his statement, "it is the best." I've read this book twice and never get tired of it. Perhaps I'm biased because Joan of Arc is one of my favorite saints, but Twain really brings her story to life. He portrayed the narration as Louis de Conte so remarkably that many at the time didn't know Twain was the author. This post will be pages and pages if I really told you all the great things about this book, but you will have to read it for yourself. In short, the work is divided into three parts. The first "In Domremy" and the life with her family. The second "In Court and Camp" and her epic battles. The third "Trial and Martyrdom" which Twain puts as "among all the multitude of biographies that freight the shelves of the world's libraries, this is the only one whose validity is confirmed to us by oath." The third section is perhaps the most moving. 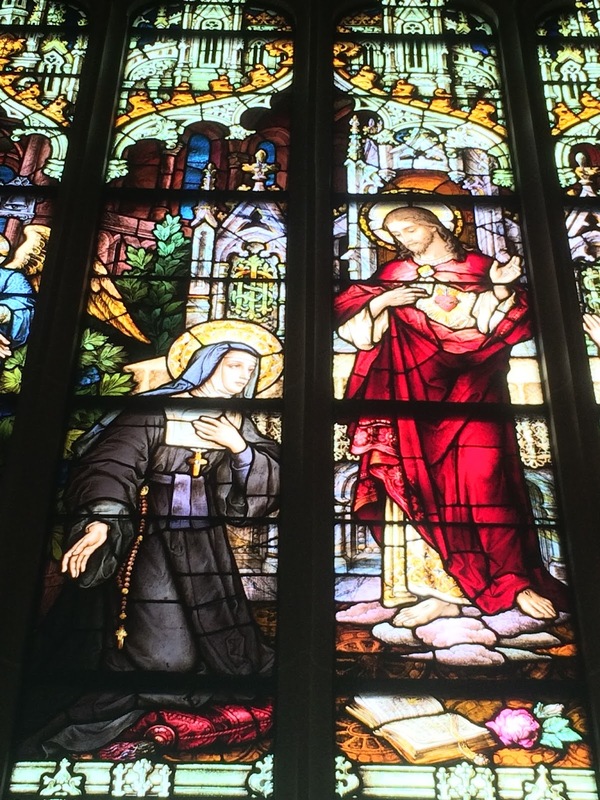 There is nothing compared to the dialogue of Joan of Arc at the end of her life, including perhaps the most famous line, "if I be not in a state of grace, I pray God place me in it; if I be in it, I pray God keep me so." Also, her answer to the question of why her standard had been at the king's coronation: "it had borne the burden, it had earned the honor." I think what moves me most about Joan's life is her willingness to serve God in whatever way He wished and the remarkable courage and fidelity to the mission He gave her. It is a wonder to me that discovering the rich spiritual depth of a soul like Joan of Arc that Twain never became a Catholic. Still, he does great justice to the life of the Maid and shows what a hero she really was. (Note: the film of Joan of Arc with Ingrid Bergman is not bad and follows along fairly accurately with her story as well). So, I'm not one for the really big roller coasters. The most advanced I've been on is a ride not more than 35mph......and I didn't realize it went backwards until it was too late. But do you ever feel like life is just like the big coasters? They go fast, turn you around, make you feel like you're flying, and if you let go a little give you the time of your life. Life is like that to me. It has it's ups and downs, it's dash of the unexpected and unpredictable, but at the same time the happiest moments, the thrill of adventure, and sharing all that experience with others. So much so that you don't want the ride to end and have to re-ride it over and over to relive those great moments. But like my experience on the backwards coaster--you can't get off the ride until it's over. Time never stops. Moments pass so quickly and we want to hang onto them. Are we letting life pass us by and not enjoying the ride? I love this quote: "While you are busy making a living, don't forget to make a life." The best part of coasters to me, be they small or large, is not riding them at all, but the excitement built up beforehand. I love the anticipation of "am I actually going to get on this?" And then deciding to do it. Life is like that--you don't know what the future will bring, but you take the leap and jump in, excitement and all. Before you realize it, you're having the ultimate adventure. I recently discovered this little story and now it's one of my favorites: "One evening a squall on an ocean left the beach scattered with starfish. A child noticed this walking along and tried to return the starfish into the waves. A passerby remarked to the child of the impossibility of making a difference since there were countless starfish. The child looked thoughtfully at the starfish in his hand before returning it to the ocean and answered, "Well it makes a difference to this one." Do you ever feel like what you try to do in your life just doesn't seem to matter? That nothing is bearing fruit? That efforts fall short? But even if you don't see it, efforts do bear fruit and everything you do matters. I heard a great sermon at Mass yesterday for the feast of the Holy Family, and the priest spoke a lot about merit--how when we make the choice to fulfill our daily duties well no matter how monotonous, we are storing up merit in Heaven. For the Holy Family lived a very simple life: Our Lady cooked, cleaned, sewed....St. Joseph worked, constructed, built...and Our Lord "was subject to them." He lived a hidden life, but such a rich life! Do you ever feel like those who appreciate a life detached from the world discover something so much deeper? The story of the child and the starfish is how I feel about my writing and my shop. If I reach even just one person, touch one heart, help one soul, it is all worth it. What we do makes a difference. How do we know that a providential smile, glance, or word of encouragement, was not what one person needed to continue on in their struggles? You could be the person whose simple act of charity was the one that made someone turn to God or persevere to the end. Let us not think that because there is so much that can be done, that nothing can be done, but rather not miss any opportunities....since "it makes a difference to this one."